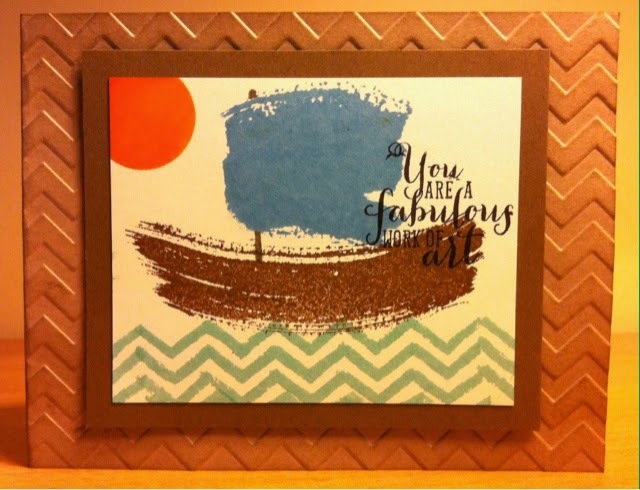 For our Stamping 101 class tonight, I decided we would try using one stamp set three ways. 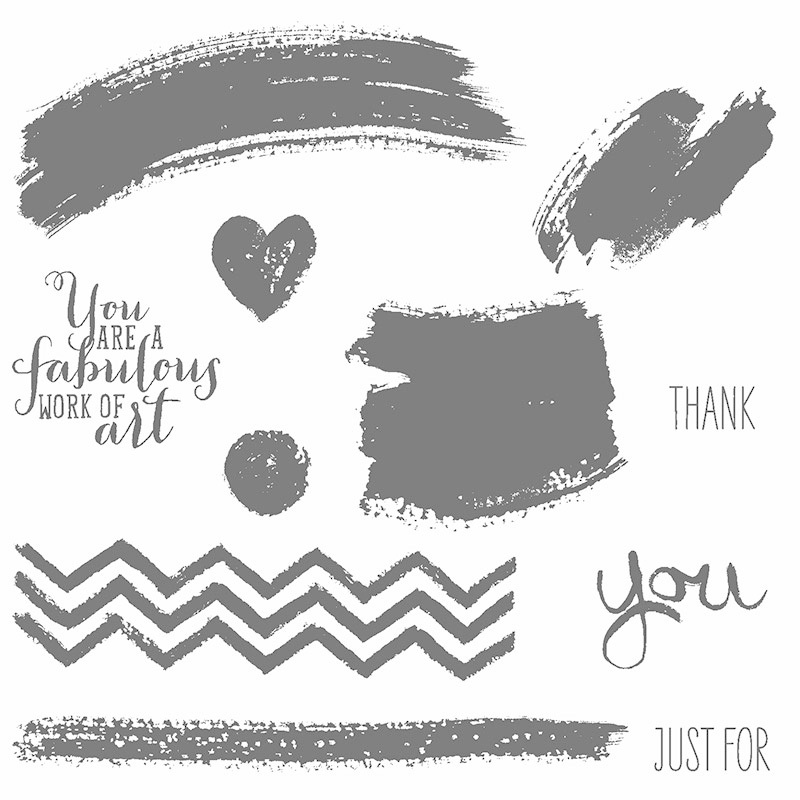 I have been seeing this stamp set used in so many creative ways, so I chose three and off we went. I got this idea from Dawn Olchefske A.K.A. DoStampingWithDawn. She even has a video showing you how to make it! The only things we did differently, is our card base is Crumb Cake and we used one less layer than she did. Our next card had less steps, but is sooo cute! I think this is my favorite project tonight! 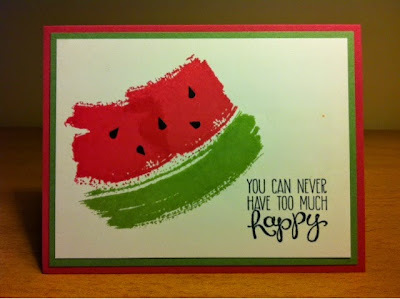 I've seen many versions of watermelon cards on blogs and Pinterest. 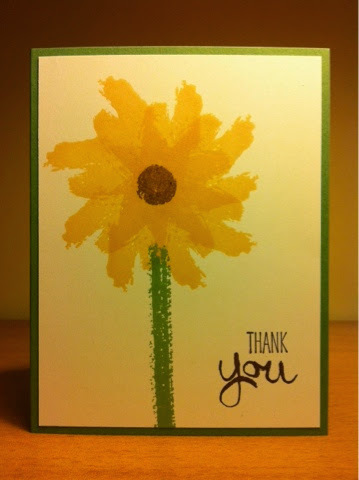 For this one we used Strawberry Slush, Wild Wasabi, and Momento Black inks, and the same colours of card stock. The little seeds are cut out, but you could also draw them in with a fine tip black marker. We used Wild Wasabi for the stem, Soft Suede for the centre of the flower and the sentiment, and So Saffron for the flower petals on a Wasabi card base. The heart petals are stamped in Strawberry Slush, and the flower centre in Soft Suede. 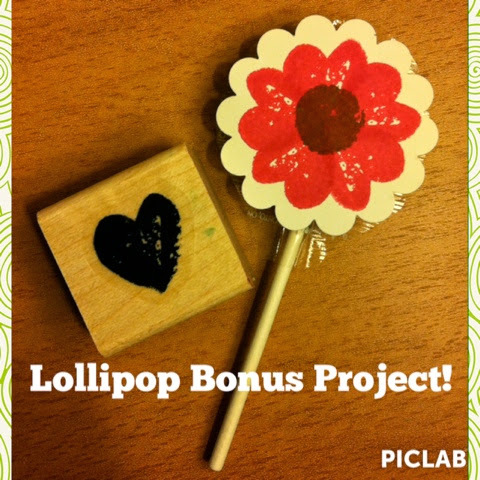 The image is punched out with the scallop circle punch and attached to the lollipop with a glue dot. Four great projects, one great stamp set.